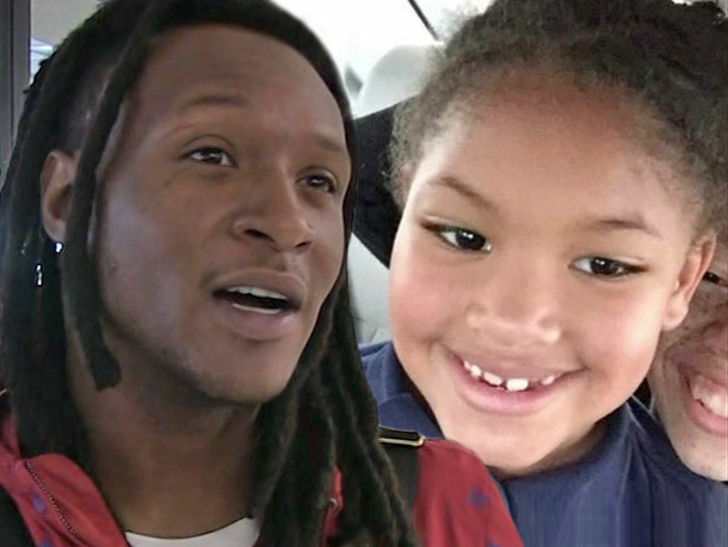 Houston Texans superstar wide receiver DeAndre Hopkins says every penny from his NFL Wild Card round playoff paycheck will go to the family of a 7-year-old girl who was gunned down this weekend on a Texas highway. Jazmine Barnes was killed around 7 AM on Sunday morning when a man in a red pickup truck pulled up next to the family car and opened fire for no apparent reason. The family was going on an early morning coffee run at the time of the incident. Jazmine's mother, LaPorsha Washington, was also struck in the attack -- but she survived. Jazmine's 3 sisters were also in the car during the shooting and suffered cuts from shattered glass.